Swift little round robots moving about at high speed, mere centimetres from each other. A collision that seems unavoidable, but never happens. Drones flying overhead. Robotic arms armed with suction cups grabbing boxes. Welcome to the modern warehouse. 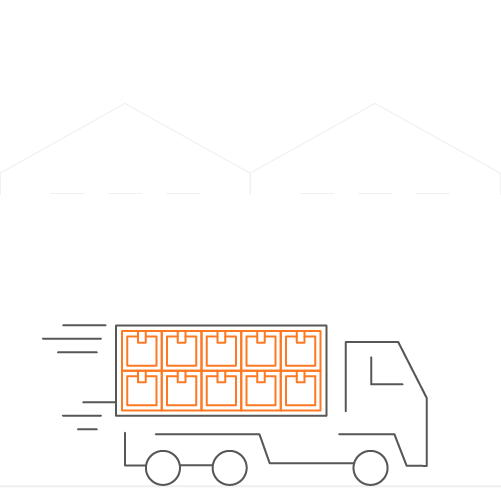 As the business of e-commerce expands at lightning speed, warehouses and distribution centres are adapting too. That means a shift from traditional conveyor-belt warehouses to automated beehive-like hubs. What may seem random, is actually a well-oiled operation relying on algorithms, barcodes and – yes – expertly trained human hands. Increased complexity in the warehouse also has its consequences for your secondary packaging. 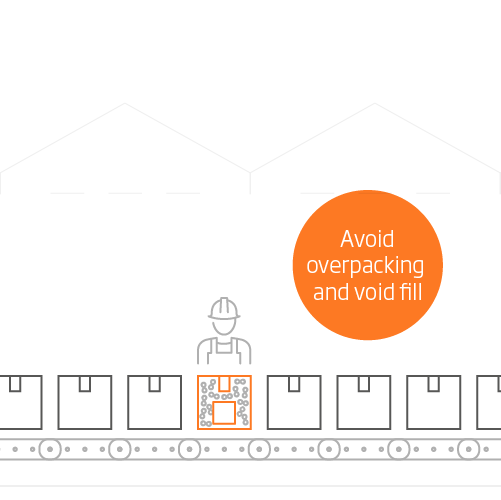 Let’s take a look at the role packaging can play to aid the process during 4 crucial stages in the warehouse. Speed up unpacking by human hands. 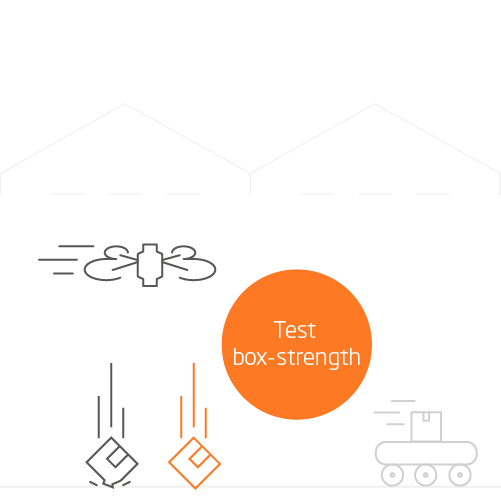 When bulk items arrive at the warehouse, humans are still needed to do the unpacking, as robots aren’t yet dexterous enough to handle wide varieties of deliveries. Help them to speed up the process by making packaging easy to open and recycle, with a minimum amount of void fill. 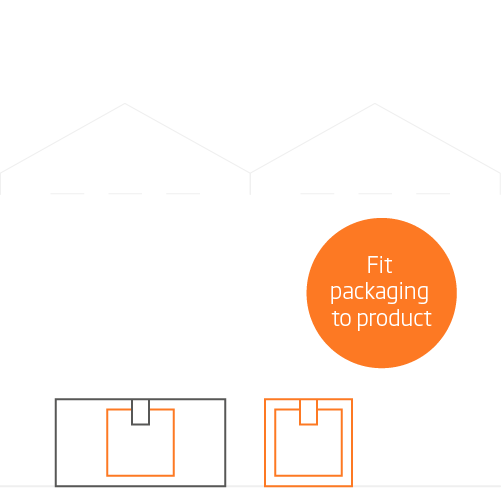 An even better solution would be some type of standard, modular packaging that can be adapted to accommodate and transport a number of sizes and shapes. 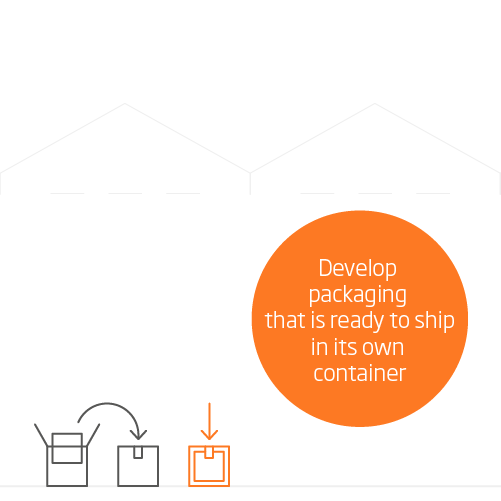 Such reconfigurable packaging could eventually even be reusable. A system like Made2fit will help reduce bulk. The most frequently ordered items rest on top of huge stacks. That could mean breakable goods are at the bottom. 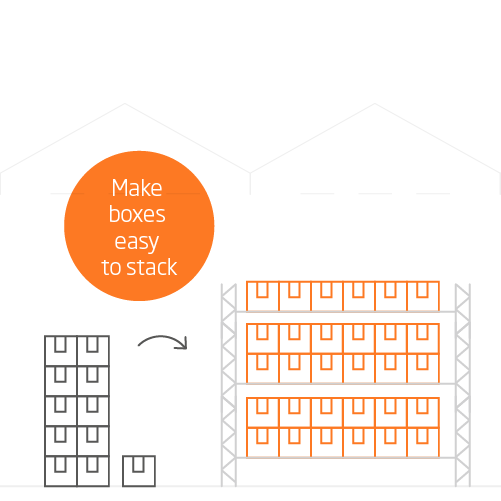 Whereas traditional warehouses used to store pallets of the same product, in the modern warehouse items are stacked on top of each other in huge. The most frequently ordered items are stored on top, whereas less popular products take a bottom position. That means developing packaging sturdy enough to handle the pressure, is essential. And since floor space is precious – the more efficiently it’s used, the more product can be stored – packaging should fit your product perfectly. Testing methods like DISCS will help you determine if your packaging can handle the pressure (and survive the rest of a typical e-commerce supply chain). Packages could be dropped, damaged or misplaced. 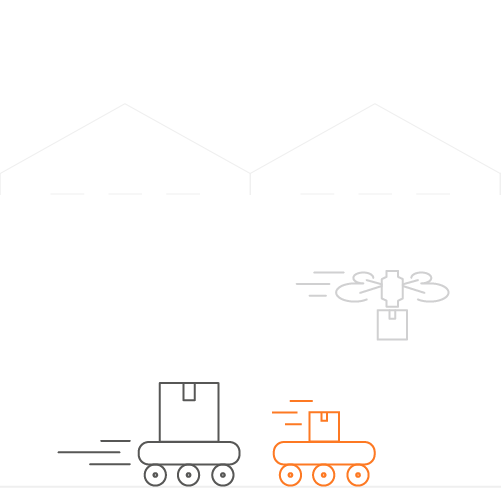 From drones to robots to cranes to self-driven fork-lifts – items are retrieved and moved around the warehouse in many different ways. Important to remember is that even robots are not infallible: considering the amount of different objects sold, oddly shaped items might be dropped on a first attempt. Moreover: clamps and cranes aren’t yet as sensitive as they could be, so gripping could cause damage to the package. Again, having a sturdy box that snugly fits your product, to avoid excessive bulk, is essential. Another problem arises when items are misplaced. When a customer order isn’t where it should be, it slows everything down. Digitally printed barcodes and other cues that indicate what’s inside a package, like embedded sensors, help avoid these scenarios. 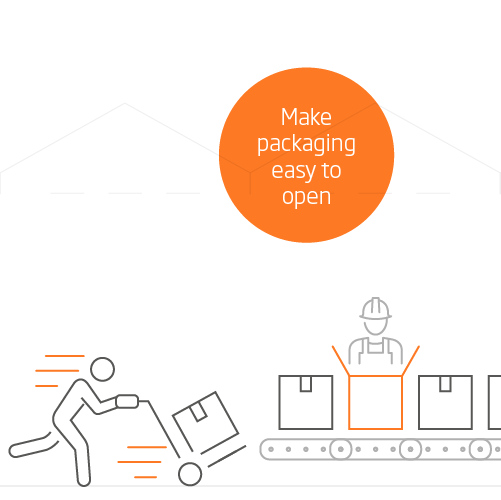 Fitting more packages in 1 shipment is more economical and ecological. In the final stage, items are prepared for shipping. Traditionally, items would have to be re-packaged, but with the rise of e-commerce, big players like Amazon prefer items that don’t require an additional overbox and can be shipped in their own container. This reflects consumer-demand for more eco-friendly and easily recyclable packaging. Something Amazon seems to value so much, even, that they’re pushing for their vendors to make all packaging ‘frustration free’ by August 1st, 2019. That is: packaging that’s easy to open, 100% recyclable and comes without excess packaging. 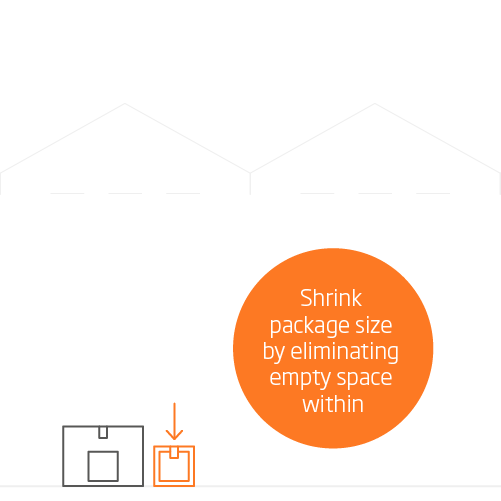 Awareness is also rising about the issue of empty space within packaging. Yearly, the equivalent of 61 million TEU containers is shipped unnecessarily. Yikes. 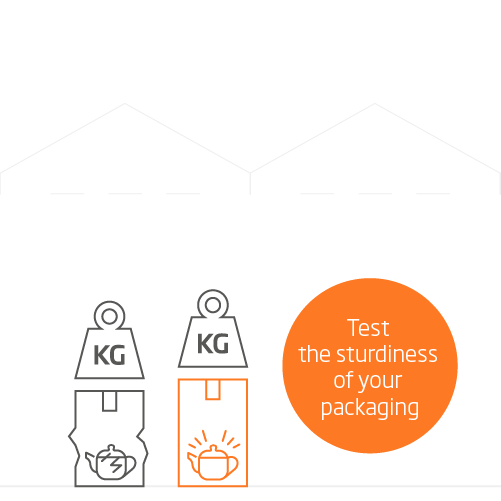 Customizing packaging with the actual product size will be both appreciated by warehouses trying to economize the available space and consumers demanding greater sustainability efforts. Moreover, it will bring down shipping costs significantly. 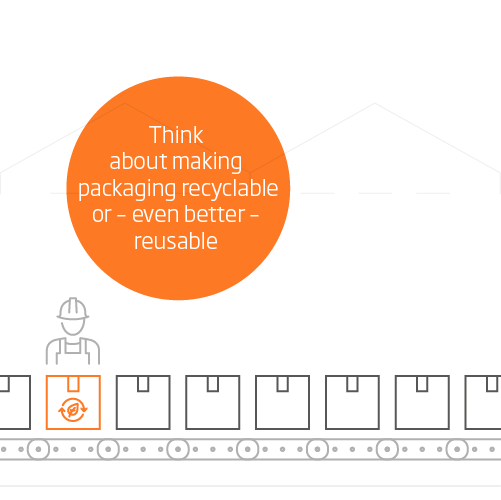 Is your packaging fit for the warehouse of the future? Or are you still packing air? 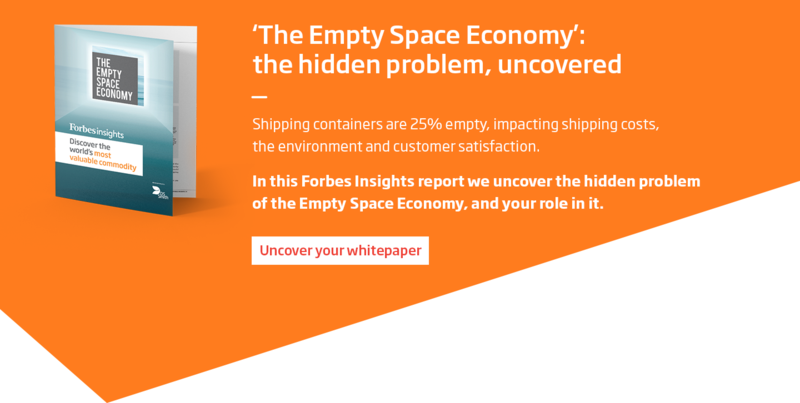 Get savvy and download our whitepaper: ‘The Empty Space Economy’.